The Girls co-creator and actress went public with her health struggle in November 2015. 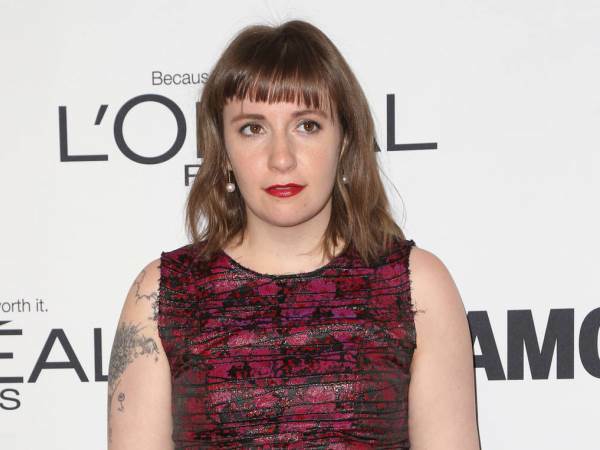 Lena Dunham is grateful to have access to birth control because she uses it to keep her endometriosis under control. The Girls co-creator and actress went public with her health struggle in November 2015, revealing she has been hospitalised several times and undergone surgery because of the disorder. Lena has been taking birth control for several years off-and-on, but now the pills have become a part of her everyday routine because they help with her painful menstrual cycles. "I've been on the birth control pill on and off for almost fifteen years," she writes in her Lenny Letter newsletter. "It's the only thing that can control my endometriosis pain, and it's made my skin clearer, my moods more even, and my life altogether finer..."
However, the actress is scared she'll eventually have to stop taking birth control in a bid to get pregnant: "I've tried a bunch of different birth control pills and settled on an extended-cycle pill called Seasonique," she continues. "My periods are painful and disruptive and can put me out of commission, so limiting them to a few times a year is better for my health and happiness. Read more: What is endometriosis and what are the signs to look out for? "I know that without the pill, I would not have been able to be a productive and functioning member of society, and that's not an exaggeration. I am genuinely nervous for the day I go off it in an attempt to get pregnant because it's such a big part of regulating my body, and the routine makes me feel really safe." The actress has been dating musician Jack Antonoff ever since friends set them up shortly after Girls debuted. The fun. star has said he's very keen to start a family, stating, "It just seems like the most fun thing in the world. I've never met people who have kids who haven't looked me in the eye and been like, 'It's the greatest thing that's ever happened'... I'm not that young, right...? I'm no longer in the phase of my life where I talk about everything as in the future... I'm in the future!"